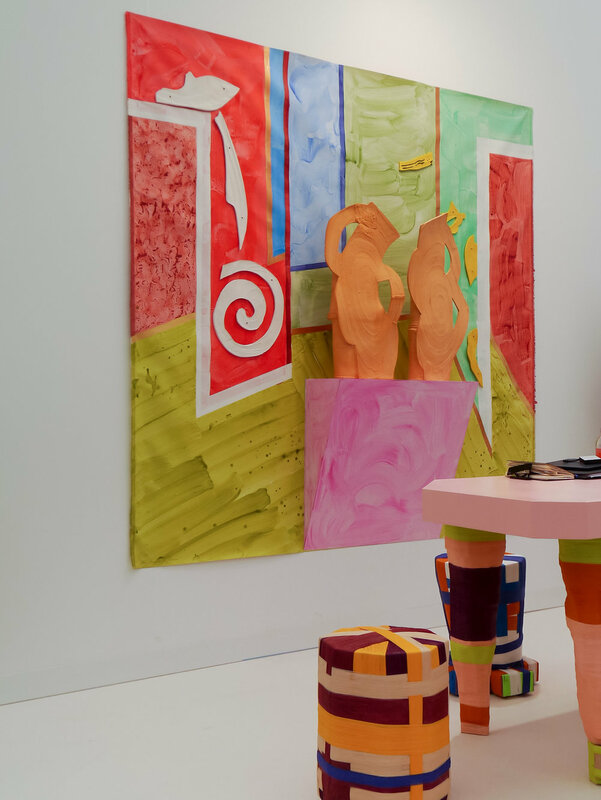 In it's 15th year of Frieze in Regents Park, Frieze brought together 290 international galleries across two fairs, and a program that included performances, film, talks and museum collaborations. 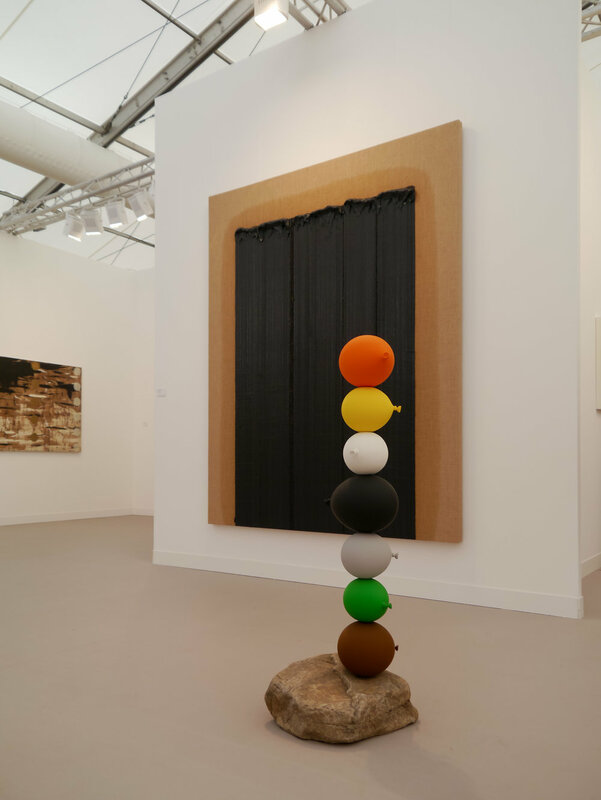 Overall this year's edition of Frieze was more considered, with comprehensive narratives of painting and sculpture. 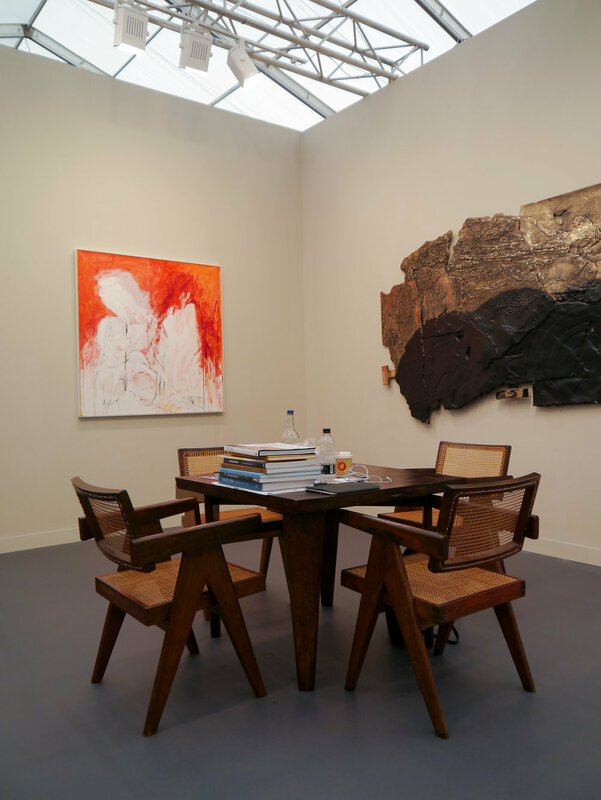 Frieze London, featuring the world's most significant artists and emerging talents, was a bustling melting pot of VIP's, collectors, museum directors, journalists and public. 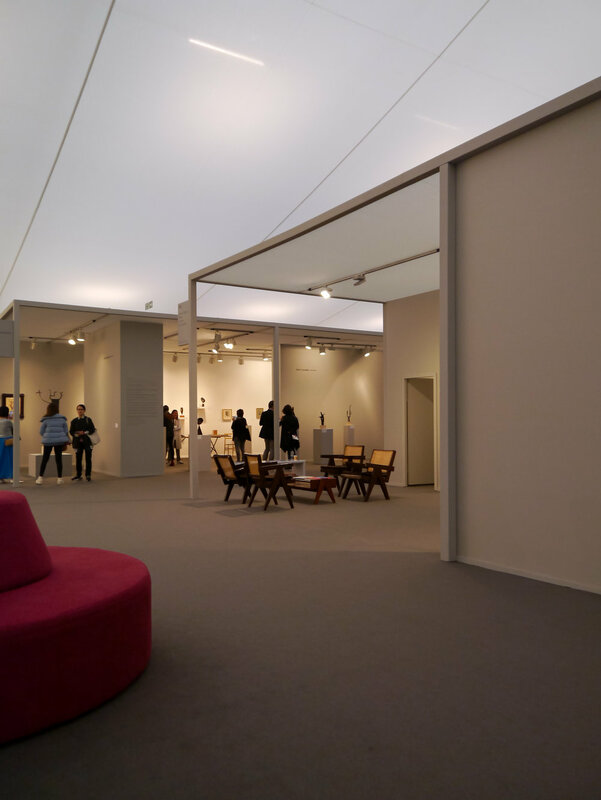 Masters was a more relaxed affair, where leading modern and historical galleries showcase the very best they have to offer. 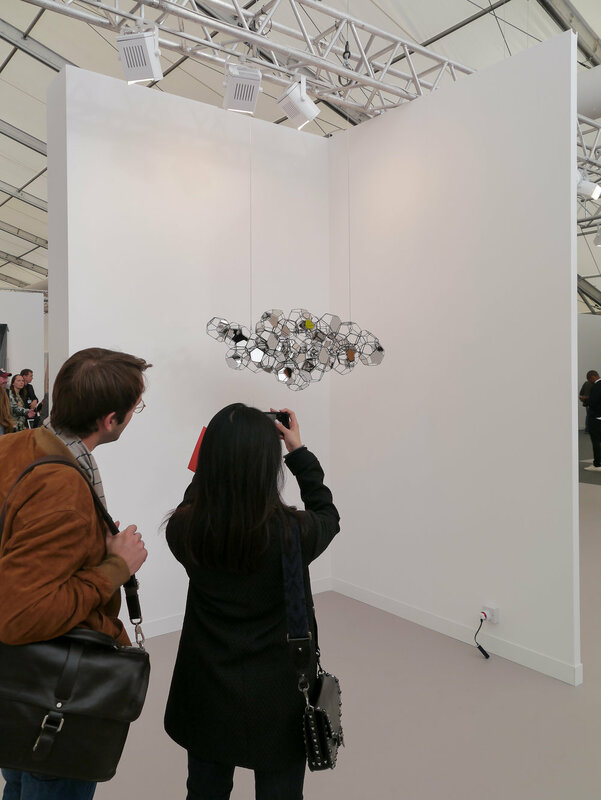 Frieze London added new experimental sections to its ever-growing repertoire this year. 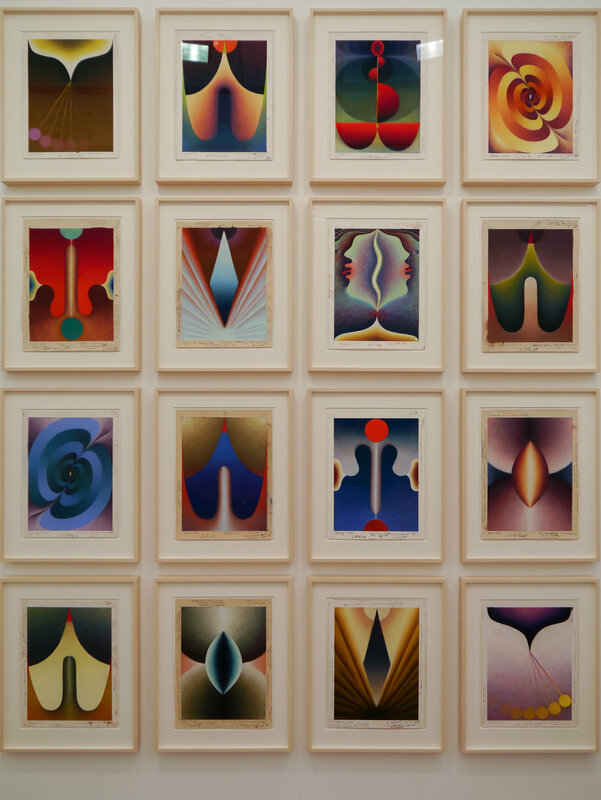 With this years new section featuring nine solo presentations of pioneering and until now marginalised feminist artist, including Penny Slinger and Judith Bernstein. Giving valuable exposure to artists work that was not viewed as important or commercially viable. Even decades after they were made, these works remained contentious and utterly vivid. Many of the issues they were addressing still going largely unchallenged in present society. 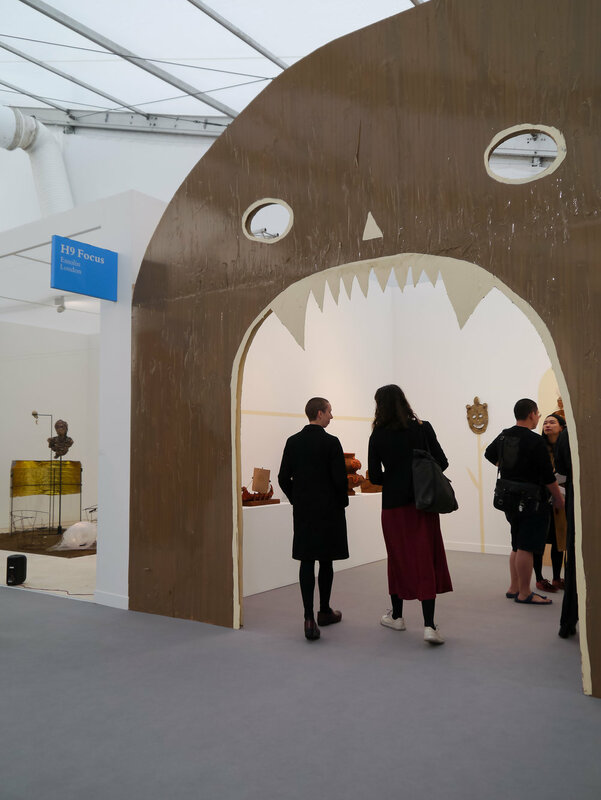 As in previous years, with 160 international galleries vying for attention and sales, some booths have continued to offer heavily curated presentations. 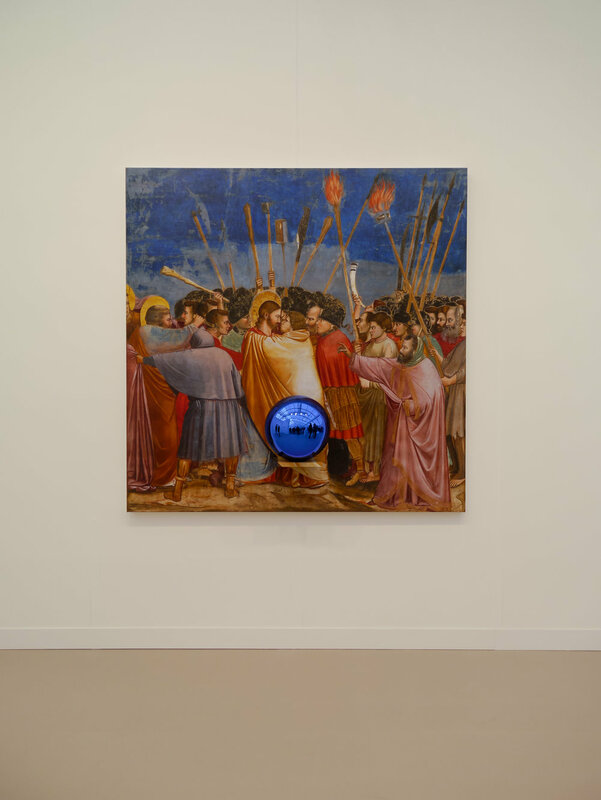 Hauser and Wirth this year collaborated with Historian and Cambridge classics professor Mary Beard to create an immersive booth that resembled a 'regional museum'. Featuring bronze artefacts loaned for the show, alongside works for sale such as Louise Bourgeois' 'Femme' 2005 and many items collected by Beard herself on eBay. Oslo gallery VI, VII's booth which was decked out as a Parisian style costume atelier, actually was an atelier where London based Than Hussein Clark's instillation invited collectors to be measured by the artist for bespoke luxury gowns which were to be hand sewn post-Frieze in Rome. Even the furniture, artists sketches of gowns and the dressing room, all designed by the artist were for sale. 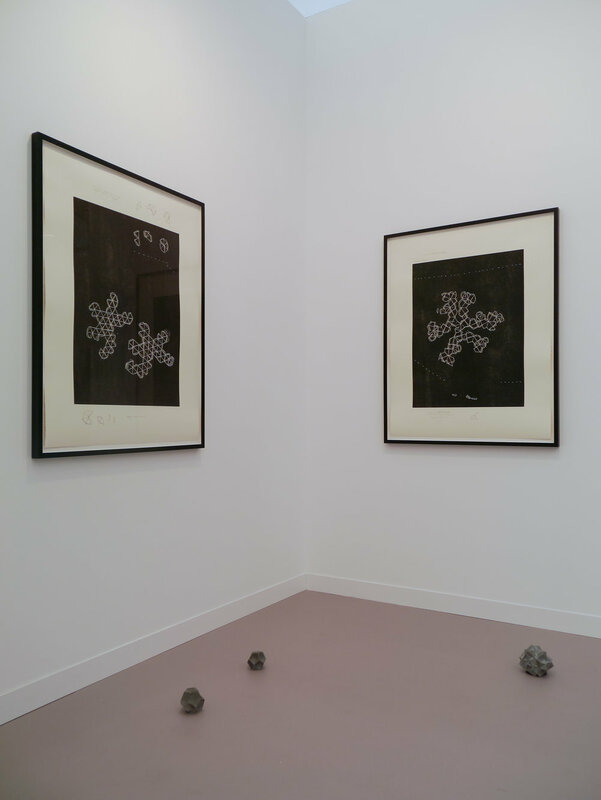 Emalin's instillation; in the Focus section of Frieze London; young Russian artist Evgeny Antufiev had created a lottery where every player was a winner. Although after entering through a giant cut out monster's mouth in tho the booth and paying €20 for a turn of the lottery machine it all seemed more of a raffle to me. However, as one of the white envelopes were drawn, your prize could have been anything from one of the artists sculptures on show, to a colourful small crystal. 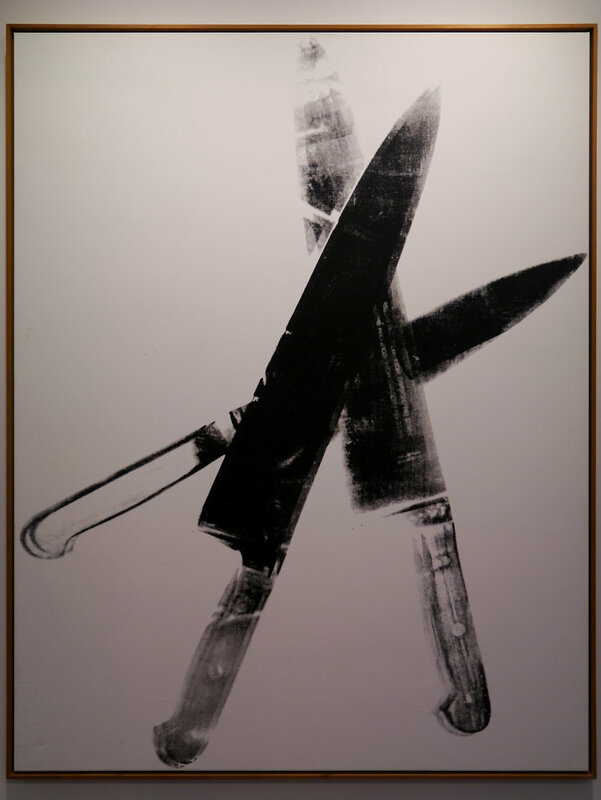 Gallery Venus Over Manhattan's show was a solo show of work by Richard Prince, but in an unusual and rare twist, all the work on show was created by Prince under the pseudonym John Dogg in the mid-1980's. 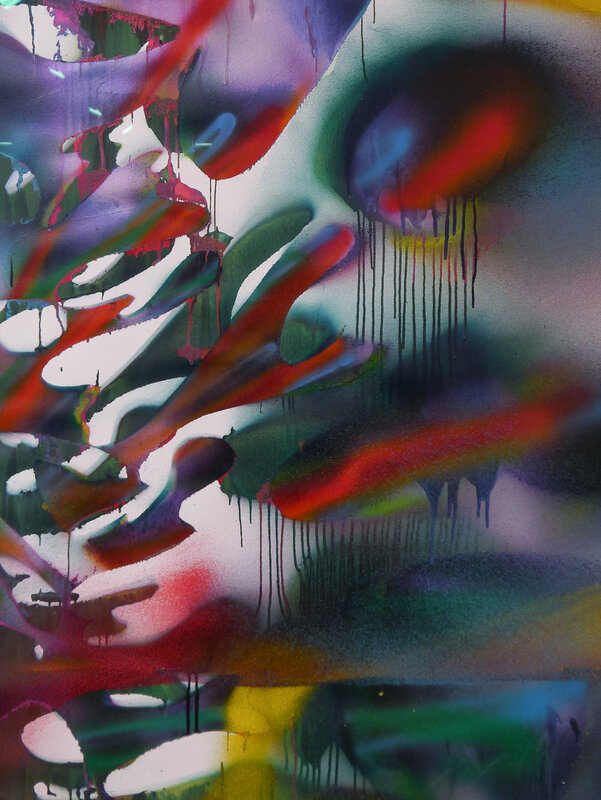 The work had all been shown by New York dealer Colin de Land, who during the 80's had asked to show work by Prince, but the artist would only accept if he could do so under a pseudonym. These works haven't been shown together since the 1980's and they offered a rare insight into the artists early experimental work. 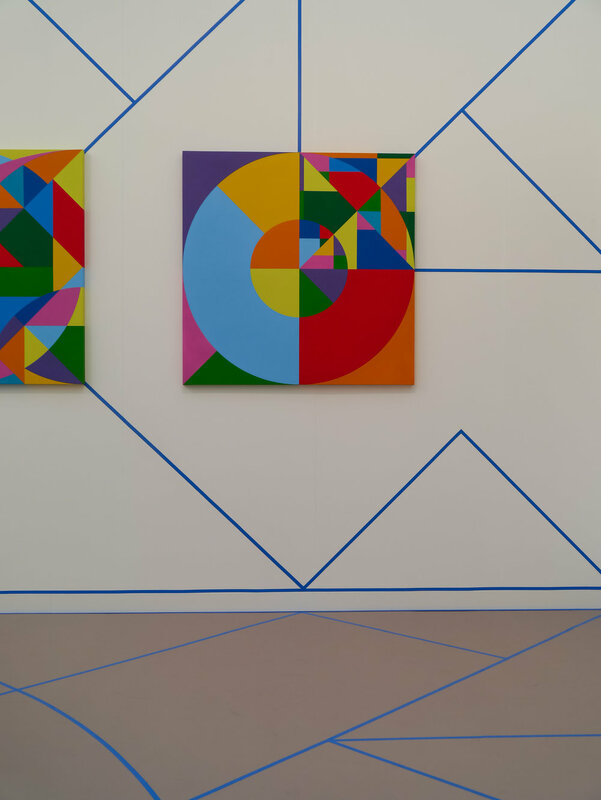 A short 15minute walk along the Broadwalk through Regents Park took you to the sixth edition of Frieze Masters. 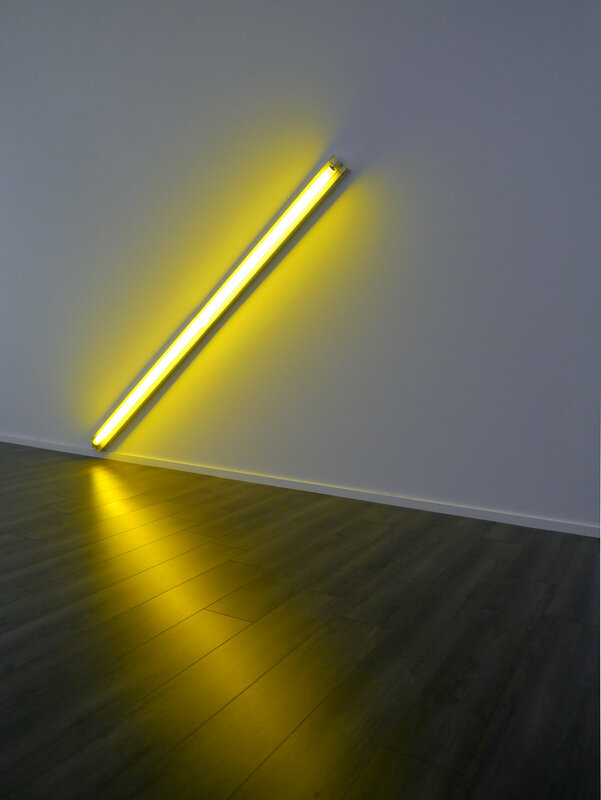 Which this year was abuzz about Dan Flavin's first-ever florescent work made in 1963 at Davind Zwirner's booth. It changed the course of the artists work from that point on and deeply influenced how future generations would think about and approach sculpture. The Diagonal of May 25, 1963 (to Constantin Branusci), was a thrilling glimpse into the beginning of Flavins now world famous style. 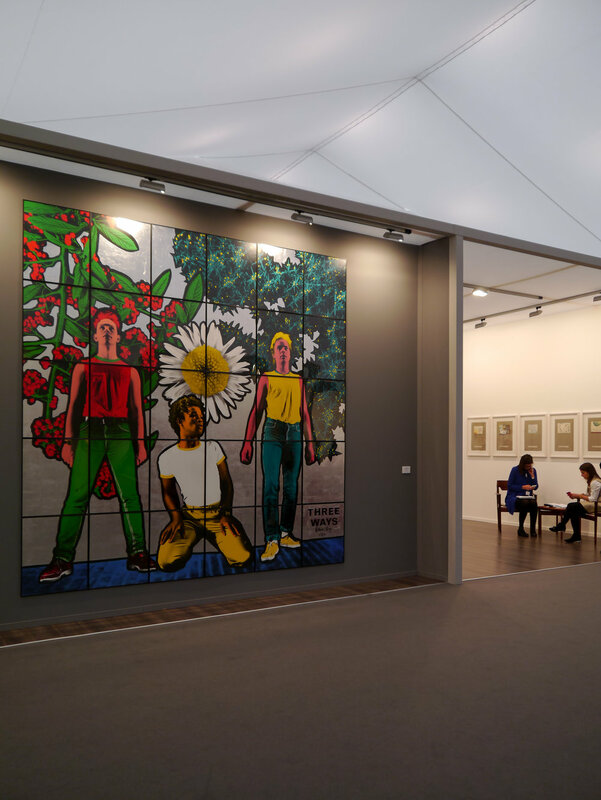 Gagosian brought a surprising pairing this year at Frieze Masters, showing work from the 80's by Georg Baselitz and Roy Lichtenstein, a period when they were both heavily experimental. 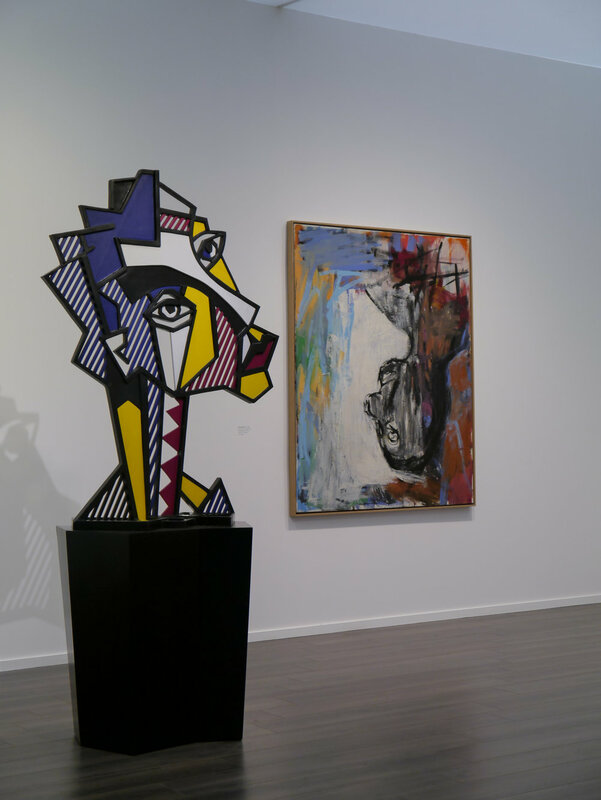 Displayed in tandem like this, Lichtenstein's Pop art was wonderfully contrasted by Baselitz's expressive hand. 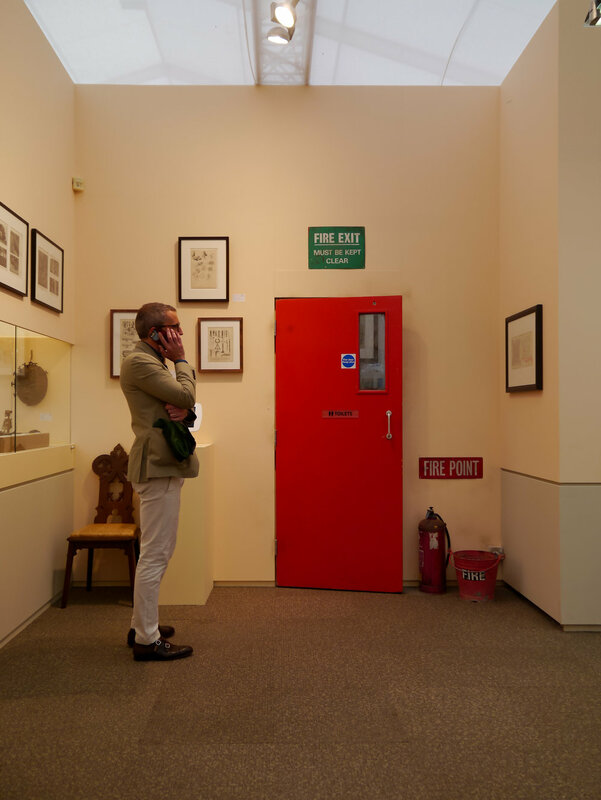 The star presentation was Waddington Custot's immersive booth of Peter Blake's studio. With his cutting table, books, potted plants, personal art collection and objects, all brought together by designer Robin Brown and producer Anne Pawk. Even Blake, at the age of 85, could be found wondering around and taking a seat on his studio sofa, happy to chat to collectors and the public as they passed through. Occasionally he would even put on one of his records from his personal collection. This was an authentic presentation full of soul. 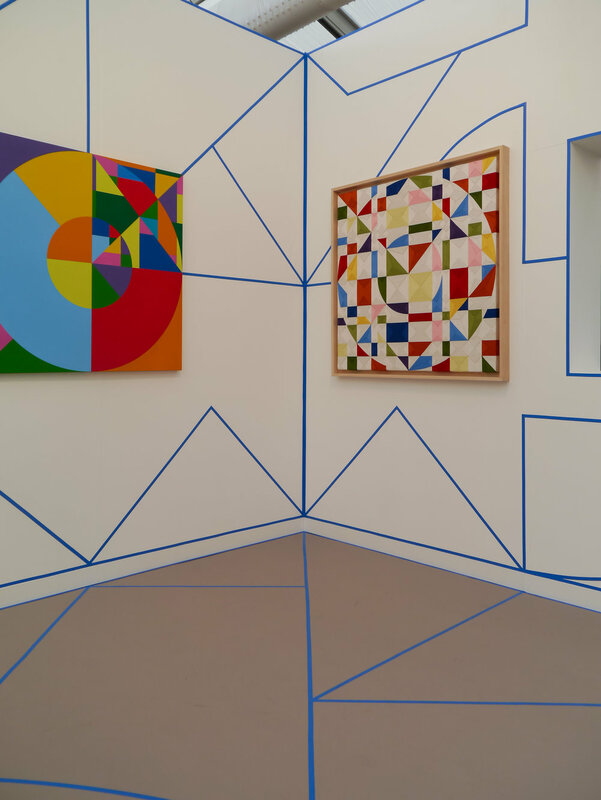 My personal favourite presentation across both the fairs was by Timothy Taylor, who gave free reign to 81 years old Mexican artist Eduardo Terrazas, resulting in a striking grid system laid over the whole space, with 23 new works carefully placed within. Marvelous geometric forms that create the artists visual language, architecture, design and art. He employs Huichol yarn techniques, bright coloured yarn is arranged on wax covered boards, requiring enormous craft and time to create. My standout piece was at Victoria Miro's stand at Frieze London, who brought a new piece of work by Idris Khan, a nebula of black text. Gradually built up with strands of text applied on top of one another in red-black oil based ink on aluminium. During the making of the works the glossy words disappear into the black ground surface until they become saturated to such an extent the words slip from tangibility into abstraction. Khan's work is a continuous process of creating and erasing, or adding new layers whilst retaining traces of what has gone before. Really quite captivating to see in person, inviting you to look past the surface of the painting, past the existence of the words and through the work to the meaning of its creation. 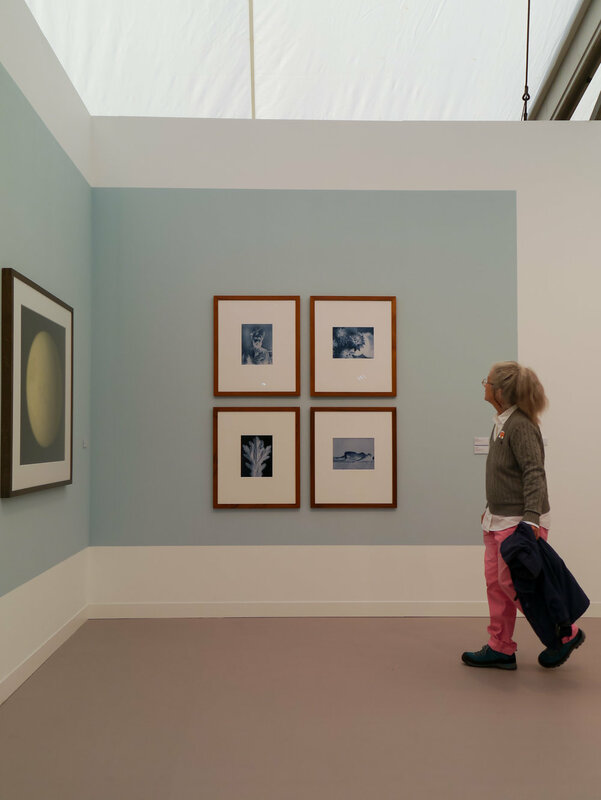 Frieze london & masters will run next year from the 4th - 7th october 2018 in regents park. 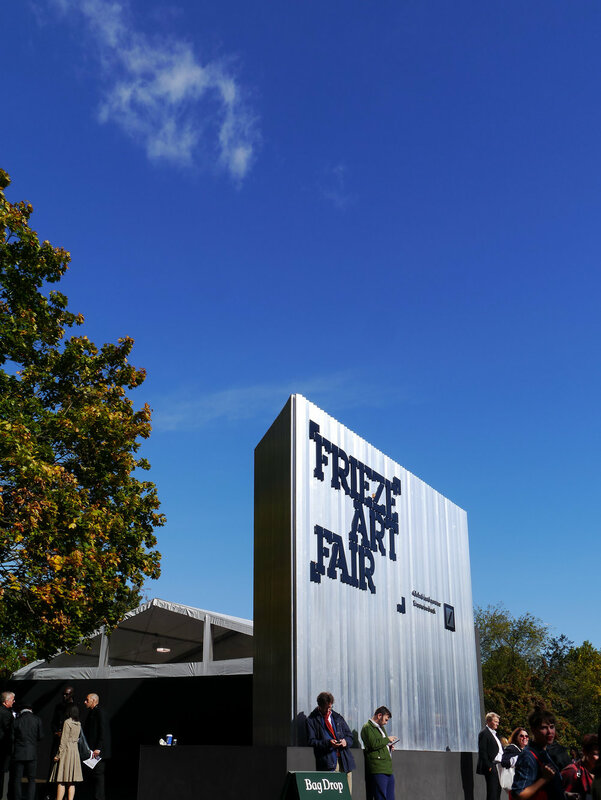 frieze new york will run from may the 3rd - 6th 2018 in Randall's island park.